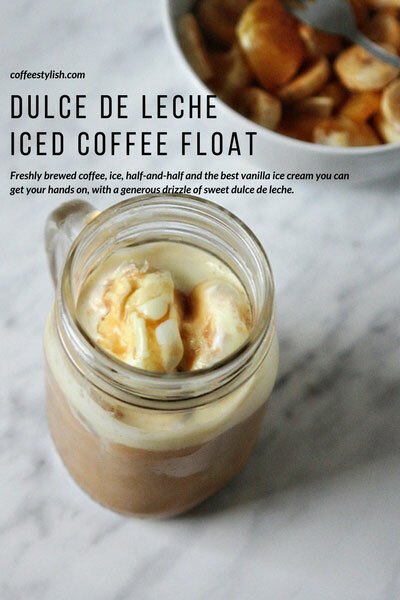 Freshly brewed coffee, ice, half-and-half and the best vanilla ice cream you can get your hands on, with a generous drizzle of sweet dulce de leche. 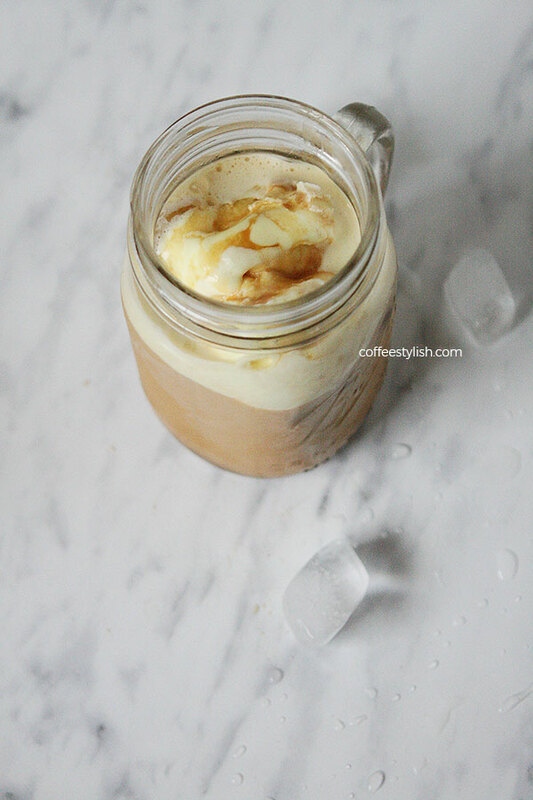 A delicious iced coffee that comes together in no time! Make double strong coffee using your favorite brewing method. Fill a tall glass half full with ice. Pour: start pouring coffee really slowly over ice cubes (method fully explained here). Add 3 tablespoons dulce de leche, 2 ounces half-and-half and finish with 2 scoops vanilla ice cream. Adjust sugar/ half-and-half to your liking.